Just 2 days after Hurricane Katrina ravaged the Gulf Coast, in response to dire and immediate need to coordinate and support relief and recovery efforts in the devastated community of East Biloxi, William (‘Bill’) F. Stallworth, Biloxi Councilman for Ward 2 and East Biloxi resident, founded what became the East Biloxi Relief and Coordination Agency (later, the East Biloxi Coordination, Relief, and Redevelopment Agency) with the goals of sustaining hope, providing relief and comfort through synchronized action and helping the community regain control over its future. It took six weeks for official assistance to arrive in East Biloxi. In those earliest days Bill Stallworth partnered with local churches and, with aid from Oxfam and the NAACP, provided immediate food, shelter and basic medical care to the thousands of families whose homes were destroyed by the hurricane. Hope eventually evolved into a full-service resource center for residents—a place where residents come to share their aspirations and concerns regarding the rebuilding effort, to participate in planning for both the immediate recovery and long-term prosperity of their community, and create a shared vision for the future of their community. In this vein, Hope engaged in a large-scale community survey, published as the East Biloxi Community Plan–a participatory planning process of East Biloxi residents balancing redevelopment hopes with the concerns and priorities of the communities that were there before the hurricanes. Hope has become the ‘hub’ around which East Biloxi’s recovery, rebuilding and redevelopment activity has been centered. 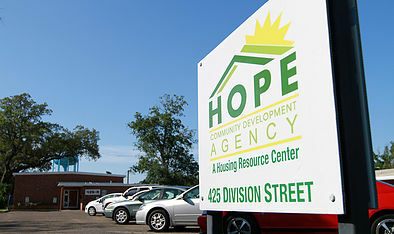 Hope continues to provide a point of entry for residents to access critical services; a common space in which relief and recovery entities can meet, exchange information, receive consultation, organize weekly meetings with the relief and recovery organizations working in the area for planning and coordination of both short and long-term recovery efforts. In addition to ongoing technical and logistical support provided to both residents and partner organization staff, the facilitation of donated supplies and materials, access to Hope’s resources for relief and recovery partner staff include: computers, fax, copier, small and large conference spaces and a conference phone. 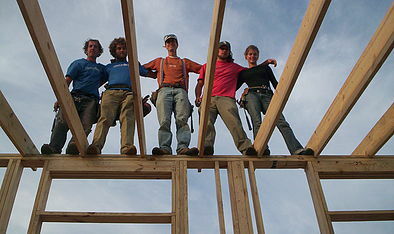 As Hope makes the transition into a comprehensive community development organization, it now offers a range of services and programs towards the goal of implementing the community’s vision for rebuilding its neighborhood. First, Hope is delivering case management services to residents for rebuilding their homes, including, funding, code compliance, insurance, and FEMA elevation technical assistance. Legal services are by referral to community legal partners, and the Gulf Coast Community Design Studio provides architectural services in-house. 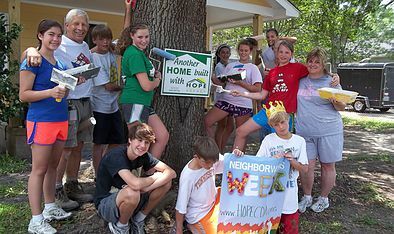 Hope also provides referrals for physical and mental health needs. Second, Hope continues to serve as an information clearinghouse and resource center for residents. Third, Hope supports economic development through employment assessment and referrals.